The Dragon Spinner Geocoin took an astonishing eight months to make! A total of eight dies were made in order to make this coin just right. Each Dragon Spinner includes a ROT13, which works as a decryption key. Each of the letters are rotated 13 characters up or down in the alphabet. For example, the letter A equals the letter N, hence the name ROT13. This Geocoin is 2" just for the base! 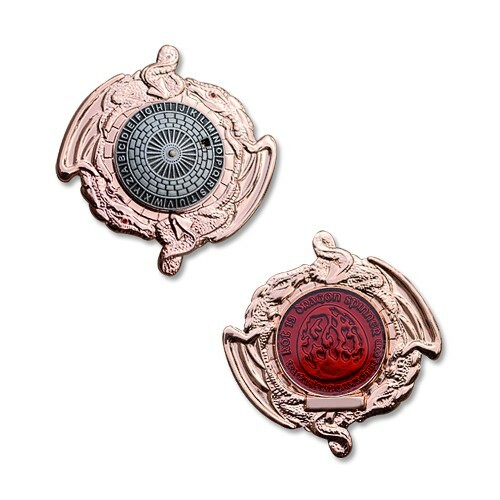 And each Geocoin has two stones for the eyes.